The Hardness of Heart book deals with the crisis, the cause, and the cure for a hardened heart. A hard heart is simply a heart that is more sensitive to other things than to God. It is caused by what we focus our attention on, and it dictates the level of unbelief in our lives. Hardness of Heart - The Crisis People who are in rebellion are not the only ones with hard hearts. The dictionary defines hard when it applies to matters of the heart as being "cold, insensitive, callous, unfeeling, unyielding." This malady has stricken every Christian in some area of their life. This is what keeps us from hearing the voice of the Lord and being led by Him in our everyday lives. Hardness of Heart - The Cause The condition of our hearts is determined by what we focus our attention on. It doesn't matter what we know, it's what we think on that controls whether our heart is hard or soft (Prov. 23:7). Once this is understood, this same law that will sensitize us toward God can be used to harden us toward the devil. 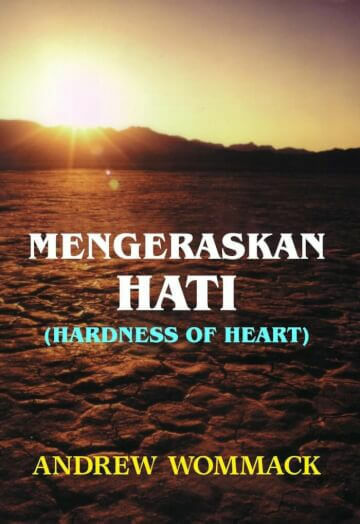 Hardness of Heart - The Cure The cure for a hardened heart is a total commitment to keep our minds stayed on the Lord. This teaching will give you one of the clearest understandings of the relationship between faith and unbelief that you have ever had.